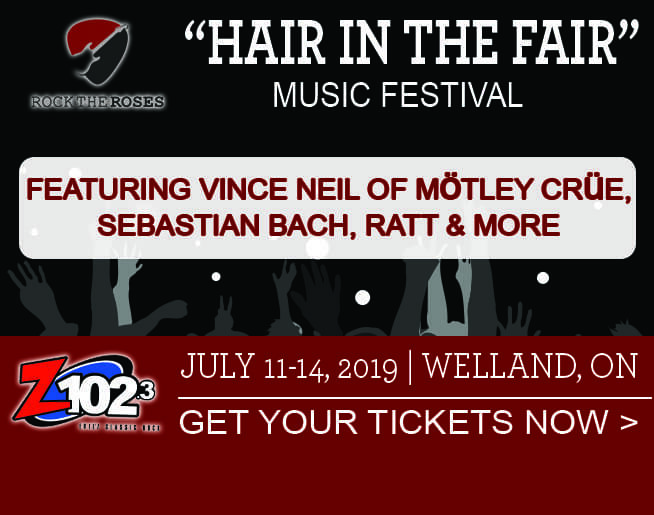 Z1023 Welcomes Rock the Roses – Hair in the Fair Music Festival, July 11 – 14, at the Niagara Regional Exhibition in Welland, Ontario! 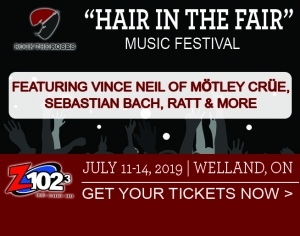 Featuring Vince Neil, Sabastian Bach, Ratt, Cinderella’s Tom Keifer, Trailer Park Boys, Quiet Riot, Jackyl, Slaughter, L.A. Guns and more! 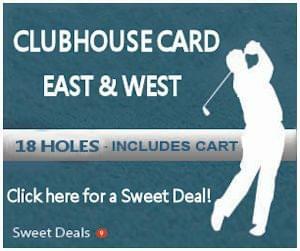 One day, two day and three day ticket packages available, camping passes, too!